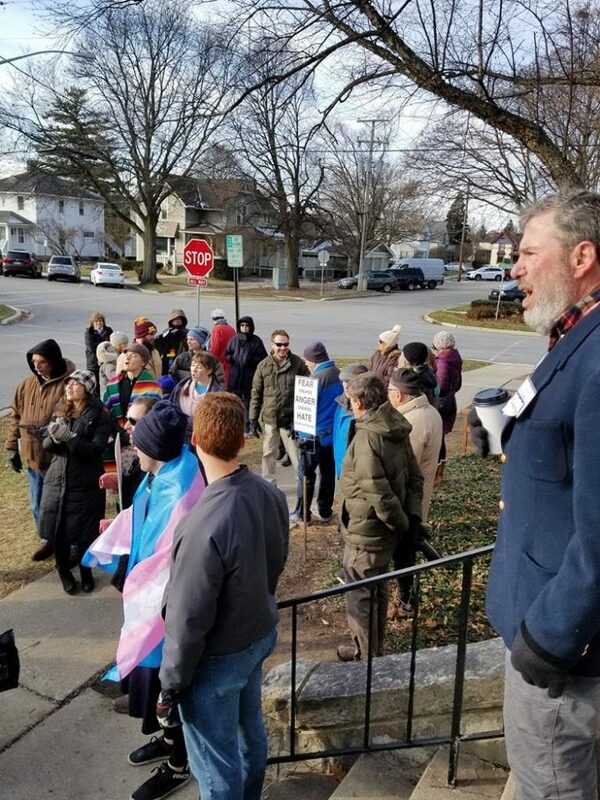 A church rallied together to block homophobic protesters. 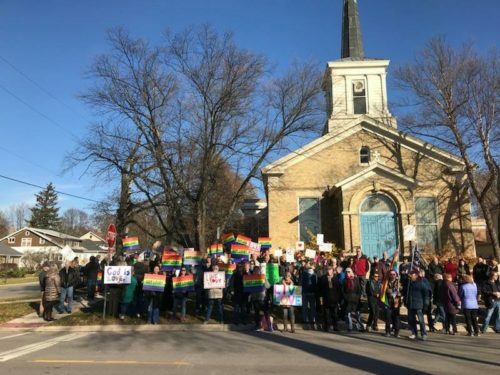 The First Congregational Church of Geneva in suburban Chicago has had protestors before because of their acceptance of LGBTQ people. It was such a problem that they set up an email list of church members who wanted to be notified if the protestors showed up again. She emailed the list and people showed up to counter-protest. 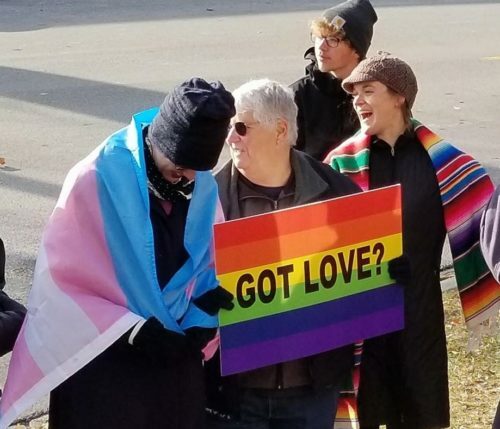 Church member Carolyn Fabian – who created the “Got love?” signs for the church – got the message when she was at a concert at another church and sprang into action. “I never anticipated this level of support,” Fabian said. The Kane County Chronicle spoke with Aaron Viland, the protestor who made the “Love Kills Pride” fliers. He said that they weren’t a part of any church or organized group – they are just a group of friends who hate LGBT people and protest for discrimination in their spare time. “Most of them were not really open to having conversations,” Viland said about the First Congregational Church of Geneva members, as if conservative Christians have historically been open to conversations about accepting LGBT people. He complained that the counter-protestors were chanting “Love wins” so loud that he couldn’t have “good discussions” with congregants. The United Church of Christ is a mainline Protestant denomination with around 5000 member congregations. The national church is known for its liberal views on civil rights, LGBT equality, and women’s liberation.